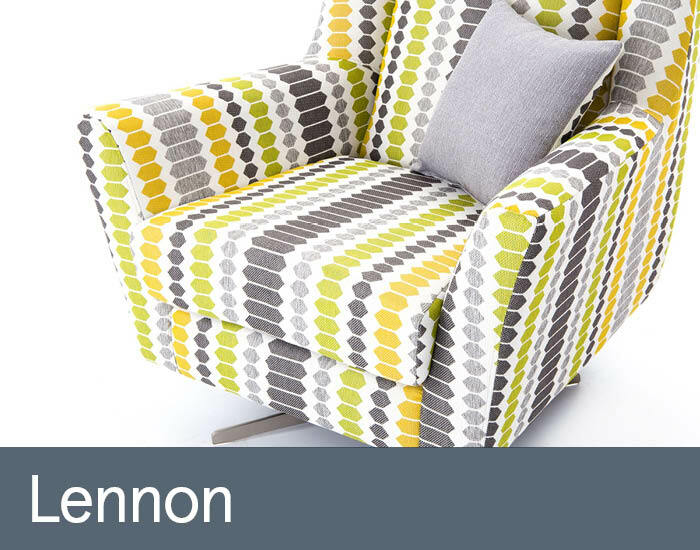 Lennon’s sleek tapered arms and neat understated tailoring are enhanced by its iconic brushed steel star base to create a real designer statement for any modern living space. This stylish design will make a welcome addition to any theme or decor. Then sit back and enjoy its generous high back support with comfy foam seating and smooth, stable swivel action.